On Tuesday PF Flyers will celebrate its 75th anniversary by releasing a capsule collection featuring three limited edition unisex styles resonating with the tradition of innovation synonymous with the brand’s heritage. The Center Hi and Windjammer stay true to their roots, while the Grounder II is a fresh take on the original shoe of the same name. Crafted from unbleached linen canvas and veg-tanned leather, each of these PF Flyers is laden with detail, right down to the hand stamped logo. A limited run of 500 pairs of each style will be available at retailers like KITH NYC, the J.Crew Liquor Store, Bloomingdale’s 59th Street, American Rag, and The Tannery. At the helm of the anniversary collection is PF Flyers’ Footwear Designer James Lee. Mr Lee was kind enough to talk with The Modern Minion about how his team “balanced old and new elements to create a collection that appears raw and handmade” and that honors the brand’s esteemed history. The Modern Minion: PF Flyers is known for its “Authentic American Style.” What do you think has drawn customers to that style for the past 75 years? 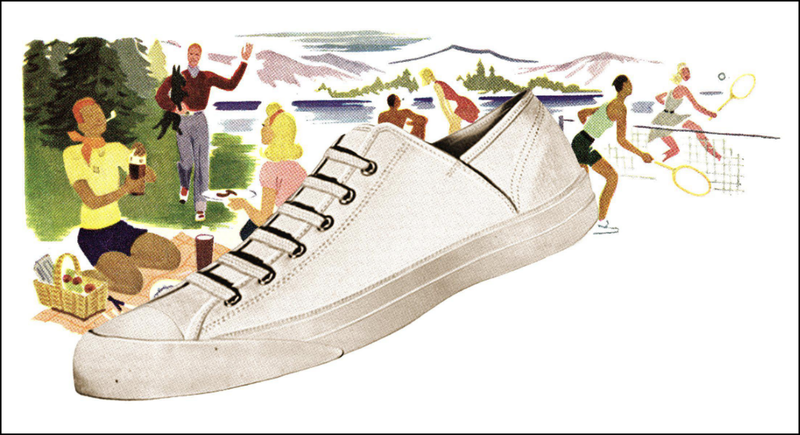 James Lee: American style has evolved over the decades, but PF Flyers has remained relevant through classic styling. MM: The workmanship on the capsule collection is incredible, right down to the hand stamped logo. Were there sleepless nights spent worrying over getting every detail on the shoes perfect? James Lee: It was definitely a long process as we went through several rounds of prototypes to craft the details and materials. We are used to making sure every detail is consistent coming out of production, so our biggest concern was actually communicating to our production team that we wanted “imperfect” details on the shoes (i.e. every ankle logo is slightly different due to the fact that they were hand stamped). MM: The three shoes each represent an iconic PF style that has been popular for decades. What makes each of them so special to fans of the brand? James Lee: We wanted a collection of three shoes that had very different silhouettes. 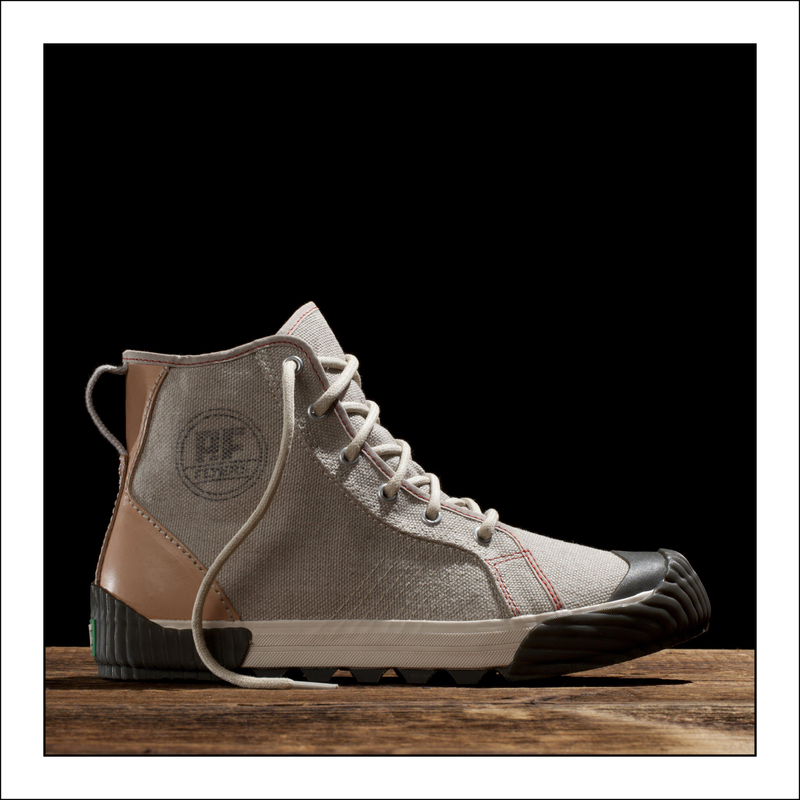 The Center Hi was an obvious choice as it is an important part of our brand DNA. The Windjammer came out in 1965, so we wanted to include this in the collection due to it’s archival relevance. 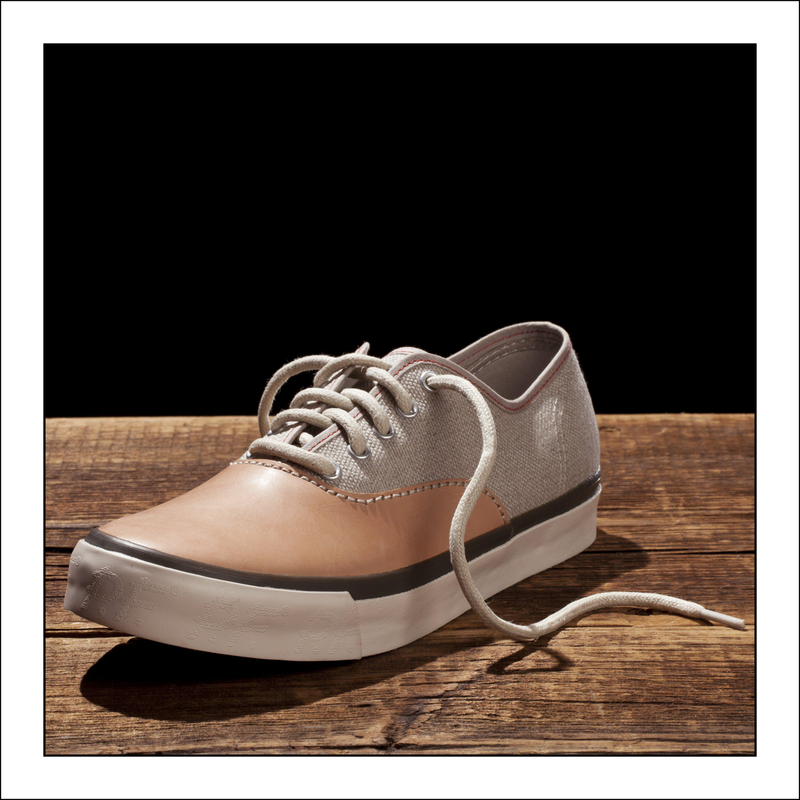 Lastly, the Grounder II because it’s a brand new model that is releasing in Fall 2012. It’s an update to the Grounder, which was a big shoe for us in the past. 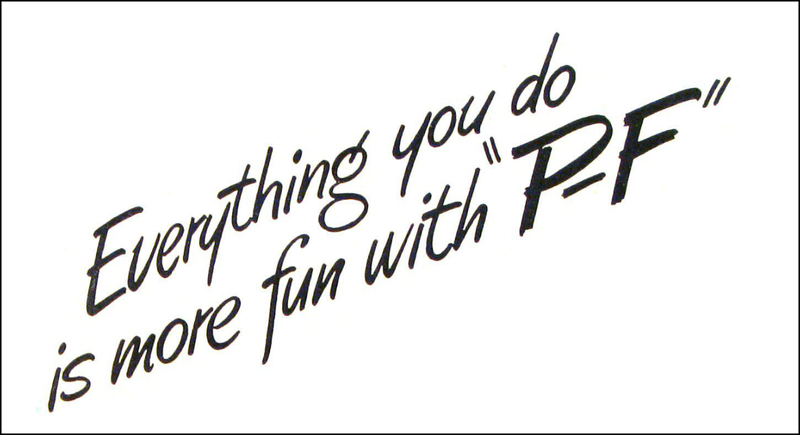 MM: What are you hoping the 75th anniversary collection will communicate to new customers of PF Flyers? James Lee: The 75th Anniversary Collection pays homage to our heritage, celebrating the era when there weren’t a lot of machines and computers that processed cookie cutter shoes. Therefore, we used raw materials like unbleached linen canvas and vegetable tanned leather to give the collection a raw feel and add further value with the hand-stamped logo and hand-stitched leather. MM: For people who won’t be lucky enough to pick up one of limited edition pairs, will this capsule collection be inspiration for future Flyers? James Lee: We always build onto what we’ve created in the past so this collection definitely will, either directly or indirectly, inspire what’s to come in the future. MM: Last question. We all know Benny would favor the Center Hi style. If you could only wear one pair, which from the capsule collection would you go with? And yes, I know it’s like trying to pick a favorite child or flavor of ice cream. James Lee: Lucky for me, I got to wear test all three of them! If I had to pick a favorite child, I’d choose the Grounder II because not only is it a new model for us, it has a great aged appearance after wearing it for some time. 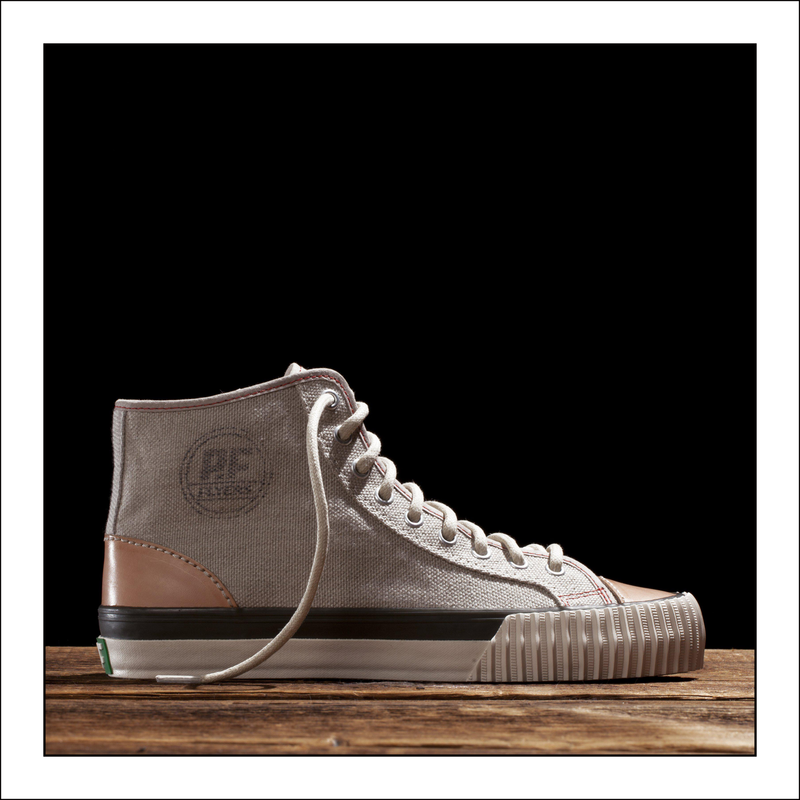 Thanks to PF Flyers for providing all the images.